This tool allows to configure secure access to a remote network establishing a tunnel between the local workstation and the remote network. We discuss here only of the configuration on the workstation side. 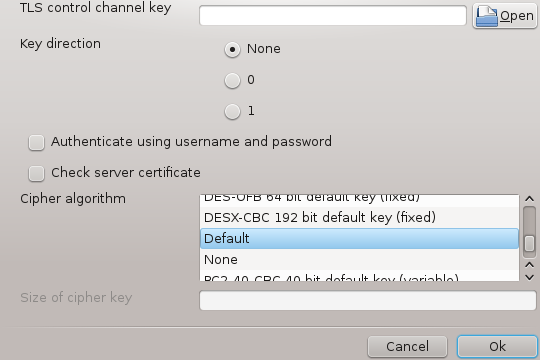 We assume that the remote network is already in operation, and that you have the connection information from the network administrator, like a .pcf configuration file . First, select either Cisco VPN Concentrator or OpenVPN, depending on which protocol is used for your virtual private network. Then give your connection a name. At the next screen, provide the details for your VPN connection. 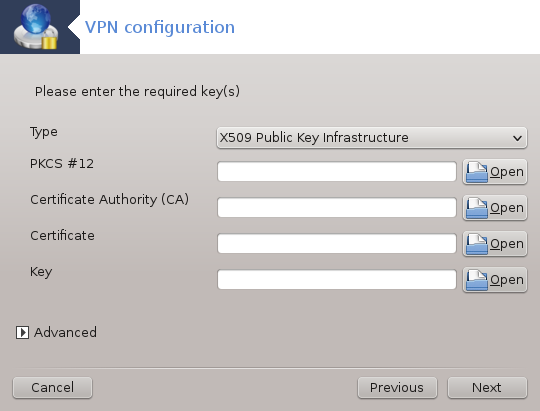 For openvpn. The openvpn package and its dependencies will be installed the first time the tool is used. Select the files that you received from the network administrator. The next screen asks for IP-address of the gateway. 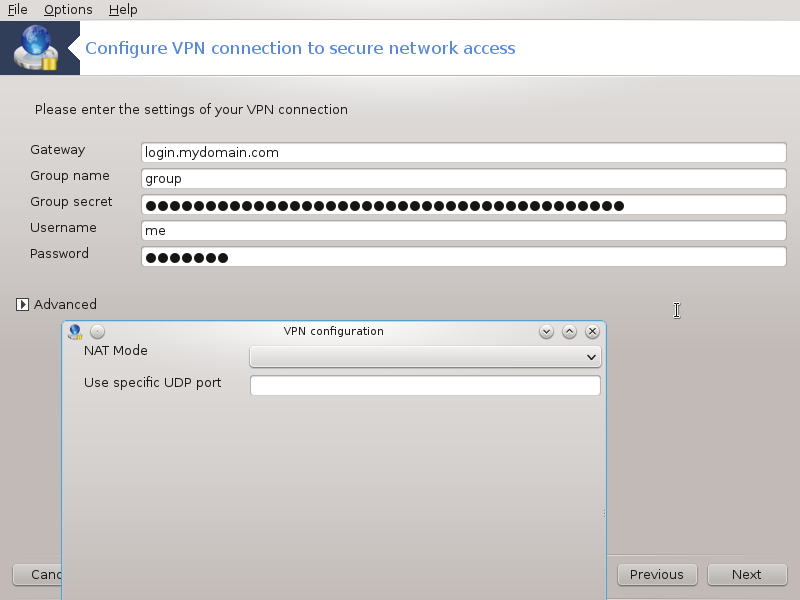 When the parameters are set, you have the option of starting the VPN connection. 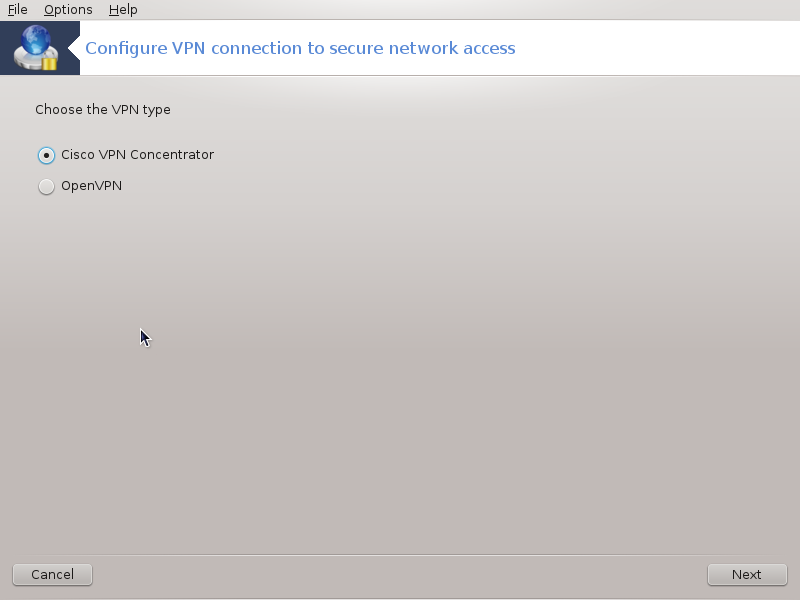 This VPN connection can be set to start automatically with a network connection. To do this, reconfigure the network connection to always connect to this VPN. You can start this tool from the command line, by typing drakvpn as root.